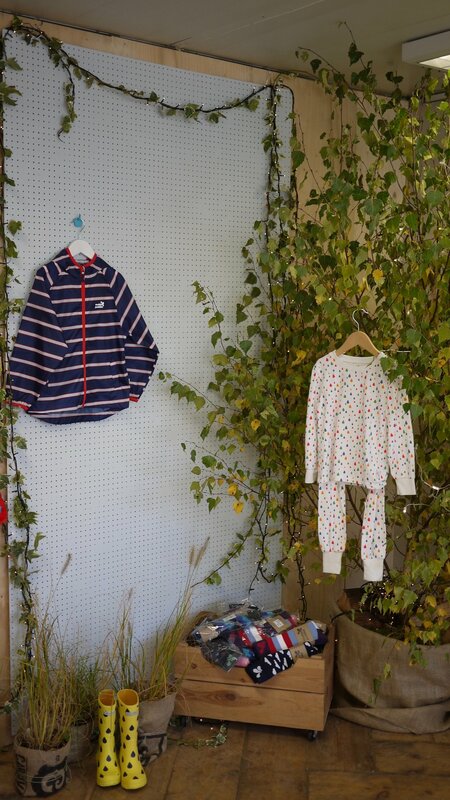 We went to the Muddy Puddles SS17 Woodland Feast press day at the Skip Garden in Kings Cross last week. 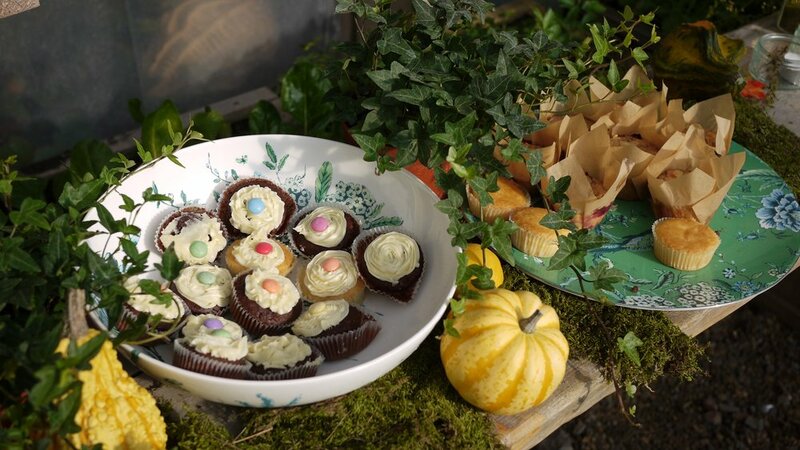 Wood fired pizzas, s'mores, cakes and goodies kept us well fuelled for all the nature inspired activities including nature trials, woodland pendant making, crown making and a science extravaganza. Wow they really put on quite a spread!! How guilty did I feel for not pulling Finn out of nursery to attend this one! I have to say Violet was perhaps a little young to fully appreciate what was going on. 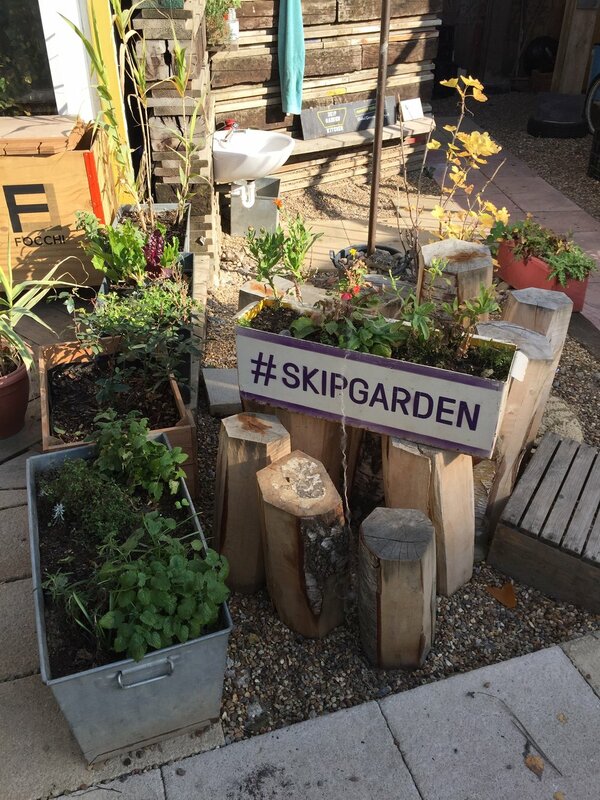 The Skip Garden, which is a local community up cycled garden, was such a brilliant venue and so in keeping with Muddy Puddles outdoor ethos. 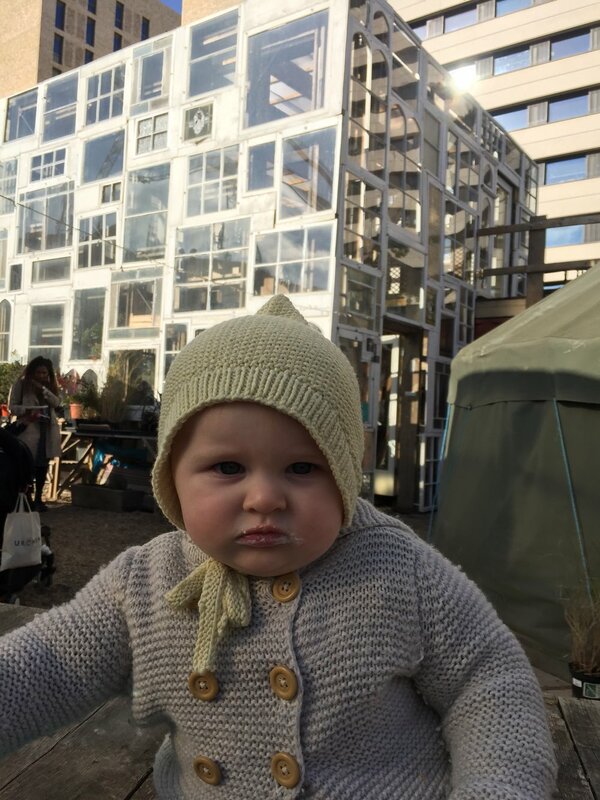 It's a bit of an urban oasis in the heart of London. You have to visit it next time you're in the Kings Cross area, there is so much to see including up cycled skips made into gardens. A lot of the local restaurants grow produce there and apparently the cafe attached to it has superb food, so another visit is definitely on the cards. 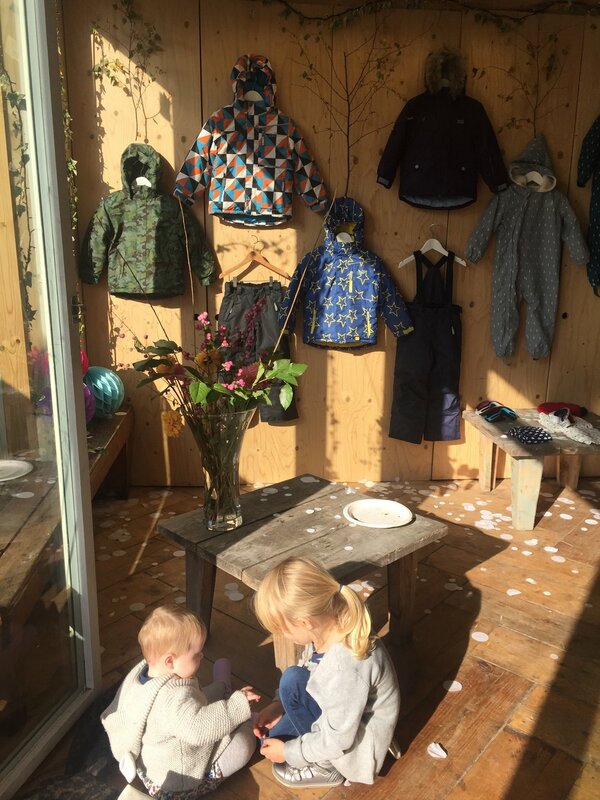 We've written about Muddy Puddles before here as we tested out one of their Muddy Macs. They have really upped their game recently and their ranges are growing and getting even stronger. 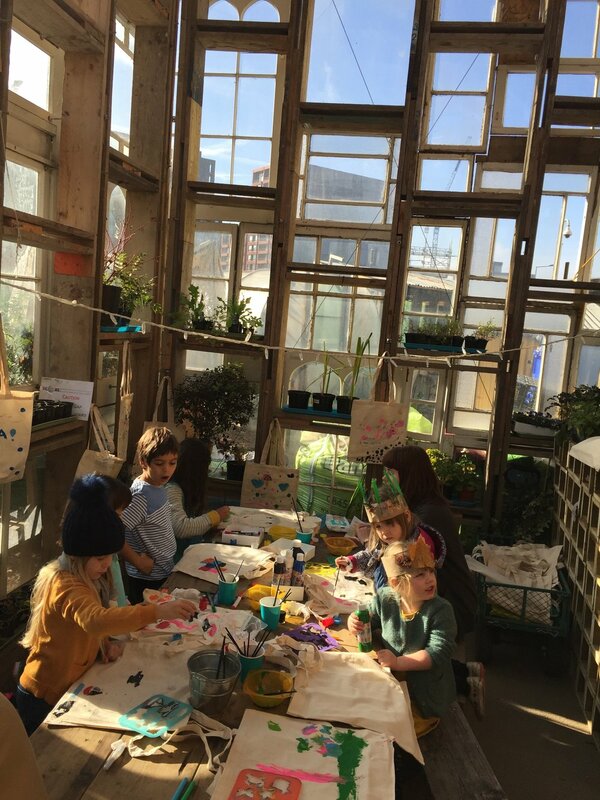 They are the go to place for kids outdoor gear, especially if your kids attend forest school. Styles are designed to be worn and passed on so you really get good value and wear from all their products. 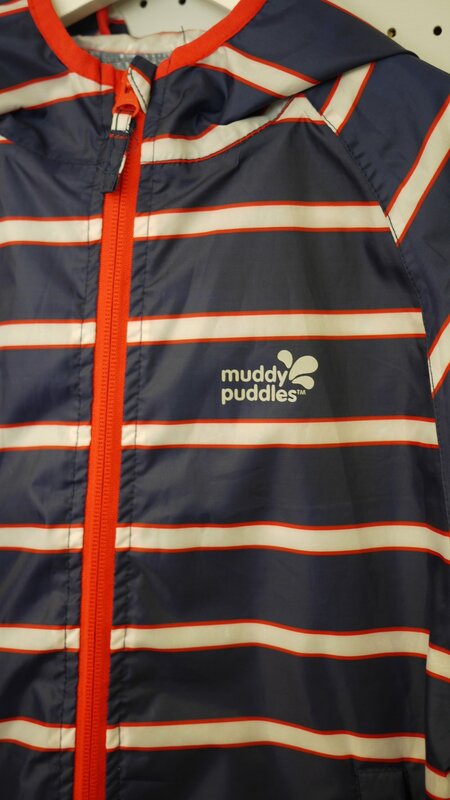 Chief mudder, Natasha, has really created a brand that parents trust and kids want to wear. We were lucky enough to meet her on the day and she is an inspiring individual with a mission to get us all jumping into the great outdoors more! We got a sneak peek of SS17 with some vibrant pop colours and block prints and are excited about their collaboration with The Bright Company. 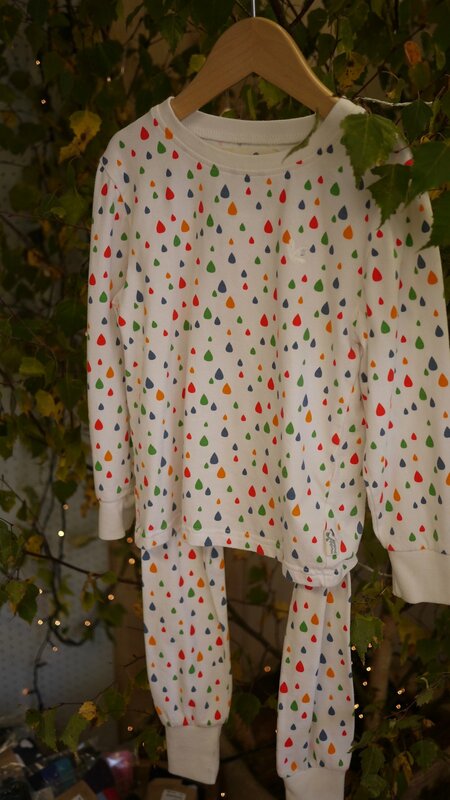 They also have a new range of pyjamas in a raindrop print but these can also act as a thermal / layering piece to go under clothes too. We also saw some of the warmer AW16 skiwear range. One of our favourite pieces was this camouflage jacket, most styles had detachable warm linings so this could be worn as everyday use as well. 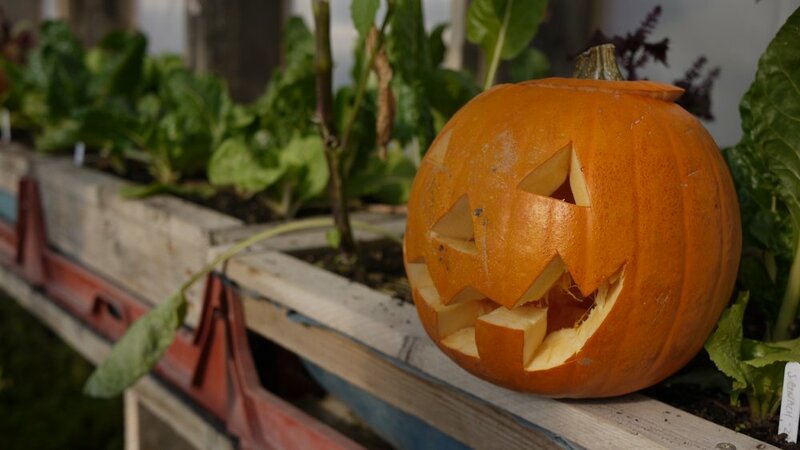 We gorged ourselves on cake and started to get into the halloween spirit with all these carved pumpkins. Thanks for having us Muddy puddles, it was quite a feast...same time next year?! !